Great photo! You can sense that this woman is traveling quite fast and with such a heavy load. I like the misty background and also the stone wall. Beautiful! 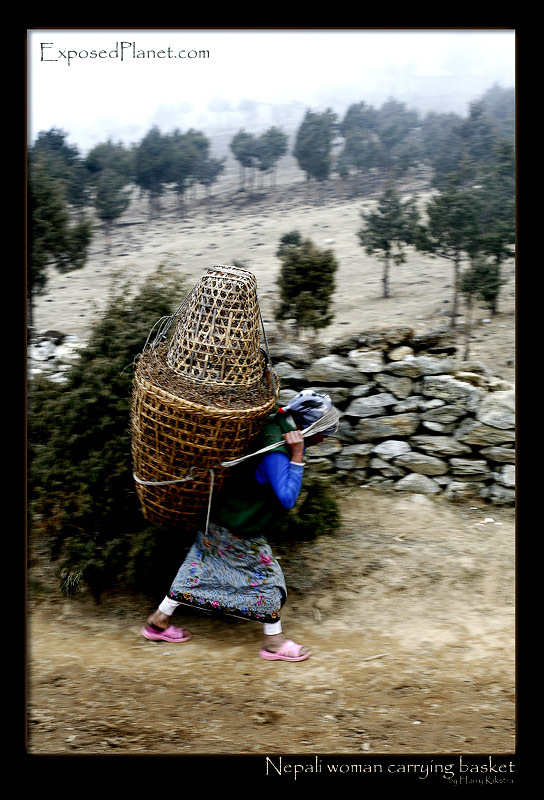 The story behind "Khumjung (5): Sherpani carrying basket with goods from Namche"
It was misty as the clouds had positioned themselves on the path between Namche Bazar and Khumjung, the small town that is starring in this second part of the miniseries. As there are no roads, just tracks, everything has to be carried in. There is actually an airstrip close to this place, but it is no longer used, except by some helicopters carrying the heaviest loads up that are impossible to carry by even the strong Sherpa people.